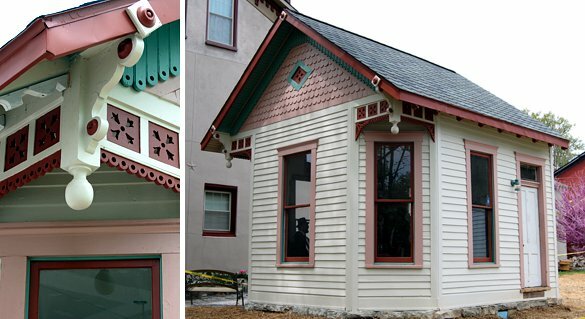 One of the Society's most recent preservation projects - In February 2007 the Society moved the smallest Victorian Pattern Home in Indiana from North Vernon to Vernon. The tiny, one-room house was a railroad office owned by Eldo Hicks. Eldo and his 4 sons engineered railroad bridges from this small office from the late 1880's to about 1910. The building was restored and dedicated in April 2009. Use this button to make a donation, sponsorship fee or Gift Shop item payment.